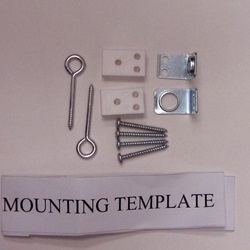 This hardware kit contains (2)Wall bracket hinges, (2)Eye Screws, (4)Screws,(2)Spacers and a mounting template. Contains all the necessary pieces to safely mount GuardMaster® II and III "Top of Stairs" Certified Swing Gates (w/o Special "Quick Remove" Feature). 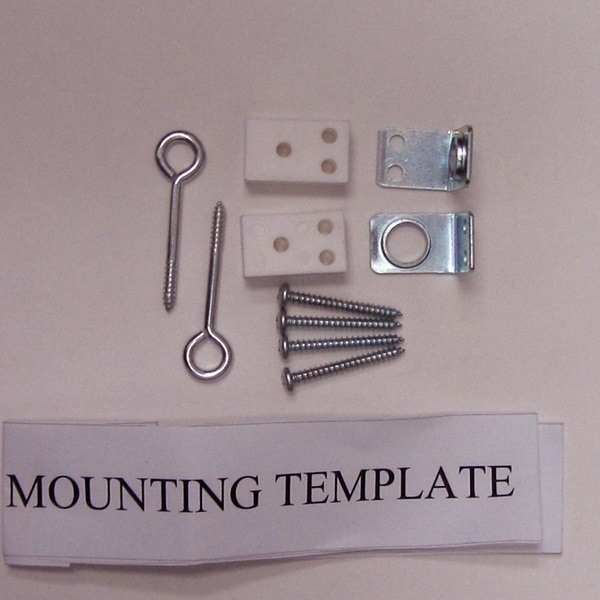 PLEASE NOTE: ALL GUARDMASTER® II & GUARDMASTER® III GATES COME COMPLETE WITH ALL MOUNTING HARDWARE.